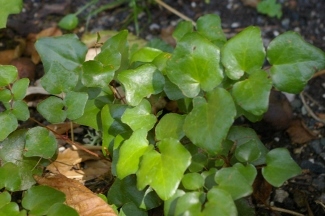 Joy Creek Photo Archive (c) all rights reserved A Northwest native groundcover comparable to the evergreen Epimediums. The lustrous, rounded foliage looks good all year. Cut Vancouveria planipetala back at the end of the winter to show off the loose panicles of bell-shaped white flowers. Late spring to early summer. 8 in. x 16 in.